After a successful ’15th Year’ some ‘baggage’ had accrued over that time and to move forward that had to be recognised, targeted and attempts made to underline our purpose and to establish our commitment. The year started with a tragedy for St Dunstan vicar Rev William Gulliford and his family with the sad death of their son Theodore on New Year’s Eve. Yet our first event of the year there was a celebration by a Japanese family as sisters Haru and Hana Ushigusa took the opportunity to present a concert with parents and friends in the audience. Whereas my inclination and responsibility was to promote joy and hope for the future one had to against a backdrop of a natural need to grieve and reflect on the past and what might have been. Soon came the news that Father William was leaving for another church. The relationship between him and me had been a ‘day to day’ personal one in relating to the concert programme for three and a half years. I turned up there one day almost four years previously and was taken in to organise the church concert programme which, up to then, was left barren for so many years as was the piano; two years un-tuned with its pedal casing laying forlorn adrift from the piano. It was patched up to be serviceable but always with a limited life hanging over it considering it was made for home use and not the concert platform…and it shook whenever it was played. Neverthelss with Father Williams support I had taken the lunch concert programme from nil to one of the most successful and vibrant in London churches and that had spin-offs for the rest of the church. It developed and progressed against the odds on a ad-hoc basis. Along the journey there were those that helped and those that hindered. That’s life! In just the year 2011 I had organised 80 concerts including at other venues. And I had just delivered virtually single handed an August Festival of some 18 concerts and record income, opening the church, accruing and banking the donations, organising the musicians, the advertising, posters, leaflets. In the wake of that I found out later the church council had a meeting to determine 2012 Olympic Events and targeted August for various ideas decided by a committee that had been formed (but never met) which would nullify all I had spent the past years building up……and no-one thought to ask my opinion! Despite well documented requests to stay on (in the light of Father William’s tragic loss and his leaving) I decided life would be a little easier to move on and leave St Dunstan and its shaking piano behind. I could not square the fact the church had spent a quarter of a million on an organ restoration and another quarter of a million on bells for the Queens Jubilee, that the bank opposite had put a million pounds into a fund through which their contribution for the organ (in memory of a former family member of the bank) was routed and that the organ would not stay in tune (leading to complaints by an organisation invited to use it and pulling their last two concerts of a series) and that I had to contend with a piano that was helping make the church money yet even had to barter over its tuning regime…and that it shook when played and bought for the church by the person the organ was supposed to be restored in memory of. And trying to persuade me to stay was a member of that banking family. Ultimately my thoughts were for the musicians…that if I could use my energy for something better for them (and it was not certain I would) then I should free myself from the trials and tribulations at St Dunstan and take my experience with me and see what was around the corner. But I will always be grateful for the time I spent at St Dunstan, to those who supported me during my time there and, indeed, at least left them with something they did not have when I introduced myself 4 years previously…a concert programme to make of it what they could. We also decided to cease our concert programme at St James, Piccadilly. We had been organising some 7 concerts there for a number of years. The main attraction for musicians was the Fazioli piano. But 2012 was beset by problems relating to musicians readiness to abide by the regulations and the consistency by which they were applied. Some were admirable, others less so and created was some confusion with St James organisers. So we have withdrawn from regular concerts there for the time being. Bristol Cathedral too had some early problems with a concert cancelled due to that day being used by the local bailiffs to clear squatters from the green outside the cathedral protesting about the business fratermity (a lá St Pauls’ in London) And there were two concerts I could not attend. But they continue to appeal to musicians and Bristol Cathedral audiences where the admirable Director of Music Mark Lee continues his support as he has done for the last 10 years. We went to the Actor’s Church (St Paul’s, Covent Garden) for some dates in August to October…although a good venue its administration was not all it could be and double booking concerts and requiring us to cancel or re-align them was unfair to the musicians and my expressions of concern led to us withdrawing from there especially as it was the only church venue in London that required a charge of £15 each for lunch concert. The musicians were free, I was free, we put their donations and audience levels up on a regular basis in a short time. ‘Hobson’s Choice’ fellas! We also had three concerts this year at professional international concert venue St George’s in Bristol with Harpsichordist Masumi Yamamoto, the Toki Quartet and our own ‘8 hands on 2 pianos’ group ‘Inzpir8tion (more on that later). But October 31st on the AJSWs 16th Anniversary we embarked on a series of concerts at St Sepulchre, the Musicians Church, Holborn Viaduct and look forward to our concert programme there in 2013. Everything looks promising so far. It is also the largest parish church in London. For several years now I have been highlighting a ‘high spot’ despite some thought of it being a little unfair to all those musicians that had worked so hard to perform to the best of their ability. And in noting such ‘High Spots’ it was not about even musical ability but that something that went into the realms of the extra-ordinary. There are always so many memories and those that cause musicians to return to their home country when they would prefer to stay with so many friends in London where so many of their teenage to young adult years have been spent., especially sad. The ever cheerful pianist Kayoko Sugimura and the talents of pianist Kumi Matsuo were just two of those caught up in the problems of renewing their visas. And Akiko Murakami also returned to Japan get married. Others come back and forth. Emiko Miura and Makiko Sada such admirable pianists and also collaborators with other musicians, that delight audiences and introduced to our concert programme this year Kanako Wakatsuki who displayed the utmost professionalism in never letting anything ruffle her….a late hour concert at St James, playing in the bitter cold of St Dunstan, changed dates at the Actors Church then not playing there at all and instead finally playing at St Sepulchre. The wonderful concert at St James by Mongolian ‘Manda’ Dorj wildly applauded and the enthusiasm of Taiwanese An-Ting Chang with so many others all contributing to special memories and even, for the first time in my life, turning pages for a pianist, Nico de Villers as he accompanied violinist Sebastian Meuller at St James, Piccadilly. The violinists started the year with sisters Haru and Hana Ushigusa with Haru taking part in 4 concerts……the ever growing stature of Midori Komachi whose Toki Quartet also played at St George’s in 2012. The impish and talented, pair each doing solo concerts now who played a duo to-gether the first time we saw them in 2011, South Korean born Me Hyun Oh and Malayan Tsze Yenn Yong. And from South Korea the determination of Jung Yoon Cho to improve and make a name for herself who played so well especially at Bristol Cathedral. And a special thank you to Megumi Nagae who got married in August and played three concerts for us at St James, the Musicians Church and Bristol Cathedral. Of the less regular instruments flautist Mizuki Shindo played a technically demanding programme at the Actors Church and she is surely one to watch. Harpsichordist Masumi Yamamoto at St George’s kept the AJSW flag flying high. Tak Man Chow played our first organ concert for a number of years at St Dunstan as we showed how such a concert could attract an audience. It was sad that Tak was caught up in the controversy surrounding the organ. Bass singer Juwon Ogungbe’s concert at St Dunstan was also my last there….but not the last with Juwon. We will see him in 2013. Of the various ensembles our first ever date at a Stratford-on-Avon venues saw the Galitzin Quartet doing us proud. And the Toki Quartet at St George’s continuing our professional path that we need so much to expand. The visit from the USA of the Sundance Trio continued our welcome of visiting American groups. And the quartet formed especially to mark the parting of the ways as several members of the Zing Quartet said goodbye or Sayonara to each other, and the two opera based groups Opera at Home and the assorted vocalists and musicians put to-gether by Ana Luisa Monteiro broadened the variety of concerts we organised. 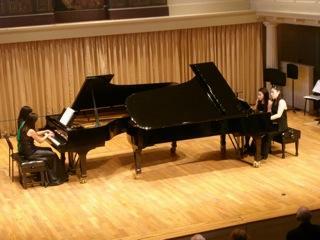 An English professional group doing so well for itself led by pianist Pippa Harrison brought us The Albany Trio for the first time which we will be seeing again in 2013. For me personally it was the most satisfying event I have been involved with in the 16 years the AJSW has been in existence. Sometime in 2013 will be the groups London debut. was the gentleman who found himself chosen to be the first ‘Gaijin’ to run a Japanese company in Japan and found within a few days there was endemic corrupt practices which he became the ‘whistle blower’ for. His struggles to expose this and his obvious love of the Japanese (some of them!) 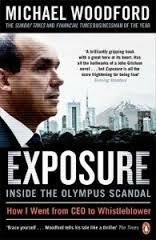 is told interestingly and dramatically in his recently published book ‘Exposure’. The company is Olympus. Many Japanese people know this and identify with it. As a friend of them it is our duty to stand by them and support them…and Mr Woodford has risked his life doing so. The hardback version of his book is published by ‘Portfolio Penguin’. There were so many difficult issues to contend with this last year. In previous years I have chosen to comment on the political scene which impacted so much on how I organised the society and the support I received. If anything, matters were far worse than in 2011 with the investigation into journalists hacking enquiries, police corruption, yet another war, the worsening economic situation and spreading to so many countries, the continuing shock of leading banks conduct and handling of their customers money, turmoil within the Anglican and Roman Catholic Churches and in the aftermath of Sir Jimmy Saville’s death (a classic case of a little boy proclaiming and pointing out the metaphorical “The King is in his Alltogether”), the accusation against so many leading artists of the entertainment world being subjected to public humiliation for some past as yet unproven indiscretions in their alleged sexual mis-conduct. For someone of my age it is as if Hell has burst open to reveal its worst deeds. And as I write the shambles over the cut off point for paying child benefit and the Government spokesman claiming it would be too complex to make it fairer (or to translate that…..’We are not intending to be fair, we intend to save money’) sums up the debased attitude of so many themselves well off and the recipients not just of concessions paid by the taxpayer but ALL their income paid by the taxpayer. Those include the Police, Politicians and Bankers. “You do need to appreciate that ***** and others are volunteers who have busy professional lives. Ideally they would speak to the performer, but there are a lot of people in and out of the Church and they may simply not have realised who she was“. That is someone sat rehearsing at the piano for an hour with few (in fact) in and out. It was a sobering attitude to ponder. My reply to that was ‘No musicians, no audiences’. He might well feel it ‘necessary’ sooner than he thought! So the wooden spoon to all three who could have done so much to help us but, perhaps unwittingly (being generous!) will remain anonymous as so many people are who are paid to look after the well-being of others but are too full of their own self-importance and interest to do their duty to others who give so much of their time for free. I thought PM Cameron wanted to laud those giving their time for the ‘Big Society’, not be treated with contempt. So many think the worth of someone is measured by what they are paid. As a man with lots of experience in his 69 years….I can assure you that is the last element to be considered in the assessment of someone’s worth. Thank you to everyone that helped in 2012. So Yeong Kim, Chisato Kusunoki, Sanaz Satoudeh (2), Maya Soltan, Pablo Garcia-Berlanga, Riyad Nicolas, Roksana Wawryniecka, Maria Levandovskaya, Gregorz Mania. Posted on Sunday, March 24th, 2013 at 10:07 pm, and filed under Reviews. You can follow any responses to this entry through the RSS 2.0 feed. Both comments and pings are currently closed. ▲ Godfrey King is the founder and director of the AJSW. He can be contacted via the contact form on this website.